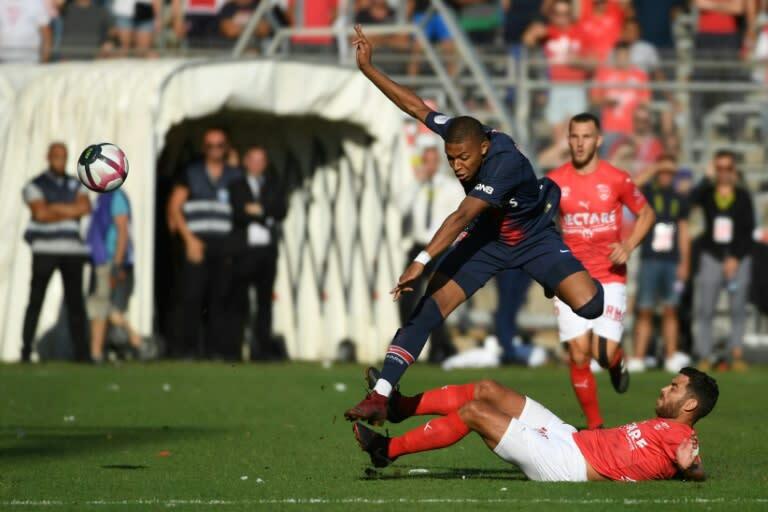 Mbappe, who shot to global fame as France romped to the 2018 World Cup, scored the decisive goal in PSG's 4-2 league win over Nimes on Saturday but was sent off in injury time for lashing out after a scything tackle. "He's going to have to learn to control himself. Kylian is a World Cup winner," said Deschamps, who will be working with the striker ahead of the Netherlands v France Nations League match next Sunday. "I'll talk with him, he was likely afraid of getting injured," Deschamps said of the tackle that Mbappe described as having no place in football. "I'm not accusing the Nimes lot, they have a physical game and Kylian has to live with that. It wasn't that bad," said the World Cup winning coach. "If I had to do it again, I would and I would apologise to all the supporters and to everyone," Mbappe said, claiming the initial challenge by Teji Savanier "doesn't belong on a football field". Minnows Nimes, the former club of Eric Cantona and Laurent Blanc, are back in the top flight this season after a 25-year absence and stunned near-neighbours Marseille in their last home outing.